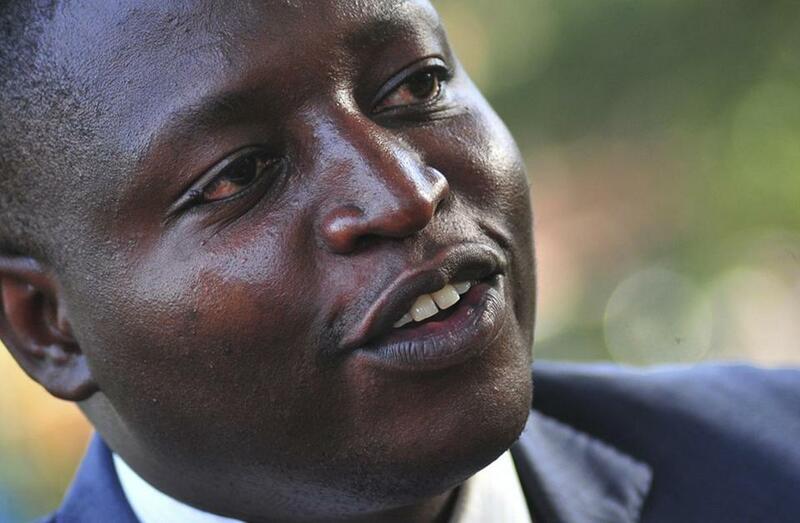 David Bahati reintroduced anti-gay legislation in the Uganda parliament, to a standing ovation. WHEN Secretary of State Hillary Clinton spoke in Geneva at the International Human Rights Day last year, she sent a strong warning to countries passing anti-homosexuality bills that US foreign aid would be tied to tolerance of the lesbian, gay, bisexual, and transgender community. The message was received with both anger and jubilation. For the LGBT community, it was an outcome of months of lobbying. Within African countries that abhor the idea of gay rights, it was viewed as another imposition of the United States’ continued policing of sovereign countries. Homosexuality is banned in 37 African countries. Clinton’s speech came in the wake of the Nigeria Senate’s passage of a bill that outlaws gay marriages, bans public displays of affection between gay couples, and outlaws gay-rights organizations. The bill is before the Nigerian House of Representatives. It is similar to a 2009 anti-homosexuality bill in Uganda, whose most draconian clause called for the death penalty for serial offenders. Both bills created a global furor, and international pressure prompted Uganda to shelve and later drop the bill. Alas, the bill was reintroduced in Uganda’s parliament this week. Its author, David Bahati, reportedly received a standing ovation from members of parliament when he reintroduced the legislation. Bahati, who reportedly has ties to some American evangelicals, said that parliament would not bow to government or international pressure in passing the bill. The bill would criminalize homosexual behavior and activity, and punish by death people who engage in certain types of homosexual acts, though Bahati claims he will drop the death penalty clause when the bill is debated by a parliament subcommittee. The government has distanced itself from the bill but asserts that parliament has the right to debate it. Despite its objections to the bill, the United States is wrong to make LGBT discrimination the heart of its foreign aid policy. In cases where embargoes have been imposed on countries, it is ordinary people - not government officials - who face the brunt of the embargoes. Furthermore, tying aid to LGBT tolerance directly feeds into the popular rhetoric that homosexuality is a Western import - and contravenes African morals. Already, statements abound in social media that the West can keep its aid; Africa will not lose her morality because of Western aid. As happened in Nigeria, countries will now likely pass anti-homosexuality bills in defiance of what is seen as neo-colonialism. Bills that might not have passed will be passed as an assertion of independence. Withdrawing US aid seems to be an ineffective way to deal with an issue that has roots in Western-based evangelical groups pushing an anti-homosexuality agenda. The United States should clean its own backyard and deal with the evangelical groups that have led the discussion in the alienation of LGBT persons. Some of these groups have strong associations with the politicians in Africa who are proposing bills to criminalize homosexuality. Withholding aid to African countries would lead to immense cuts in health care, education, and other important sectors, and could slow development in these countries. If the West is keen on cutting aid, let it be based on a broad spectrum of human-rights violations and tagged with stricter demands that countries adhere to all standards of human rights freedoms. Jackee Budesta Batanda is the 2011-2012 IWMF Elizabeth Neuffer fellow at the Center for International Studies at MIT. Follow her on Twitter @jackeebatanda.